What better place to tie the knot than in St. Lucia? In fact, the island has been recognized as a top wedding and honeymoon destination in the Caribbean. The World Travel Awards has chosen St. Lucia as the World’s Leading Honeymoon destination over a dozen times, and the island has been featured on the TV series ‘The Bachelor’ as the location for the ‘final rose ceremony’. Some hotels have also captured prestigious awards for weddings, like the Coconut Bay Resort who won the 2018 British Wedding Award for the Best Destination Wedding Venue. There are tons of beautiful wedding locations in St. Lucia, which never fail to provide couples with the tropical ceremony that they desire. 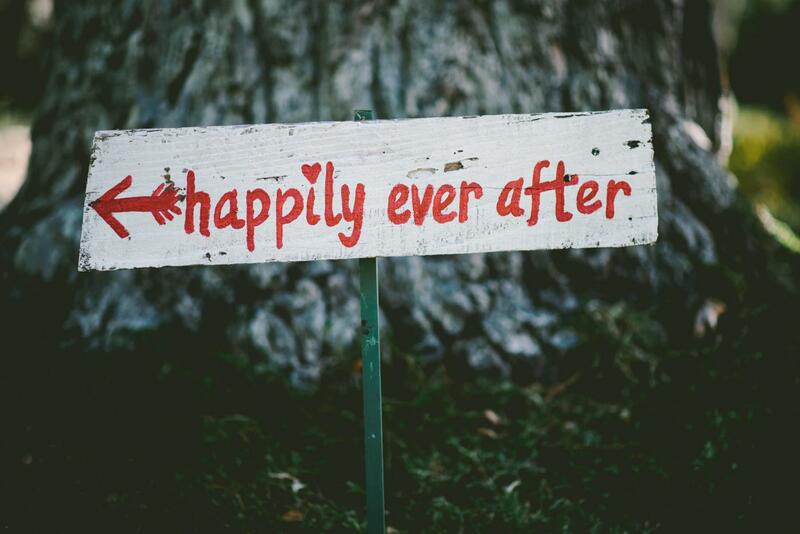 From hotels to outdoor locations, let this be a guide for you and your partner’s future. There is no shortage of hotel wedding options in St. Lucia. From intimate weddings, to cool weddings on the beach, a resort wedding is a great option. Bay Gardens Resorts in the north of the island is a popular wedding location for both locals and visitors. They offer beach, garden, and intimate ceremony options. There are also various wedding packages which are customizable to suit your preferred matrimonial needs. The packages include Magic Moments, Blissful Beginnings and Eternity, and all offer the services of a wedding planner, decorations, a marriage officer and other important details. 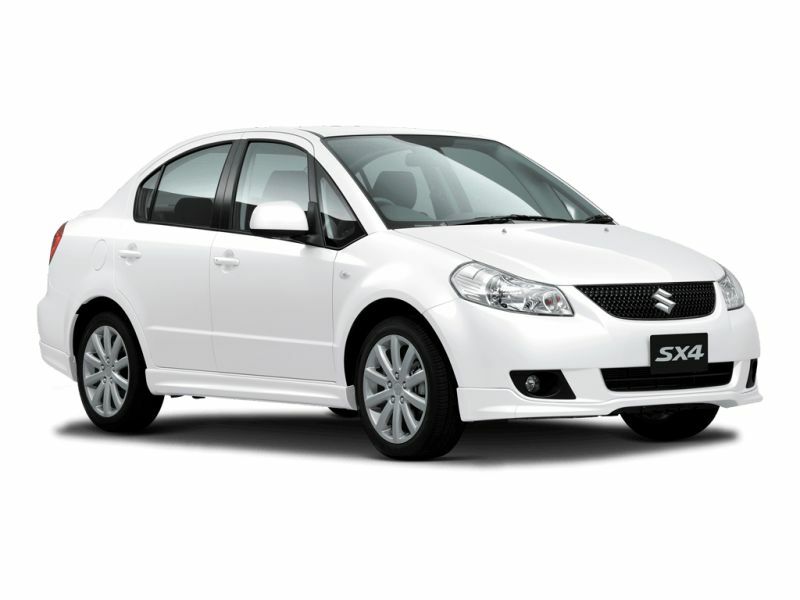 Each package offers more features than the last, and prices range from USD$950 to USD$1,900. 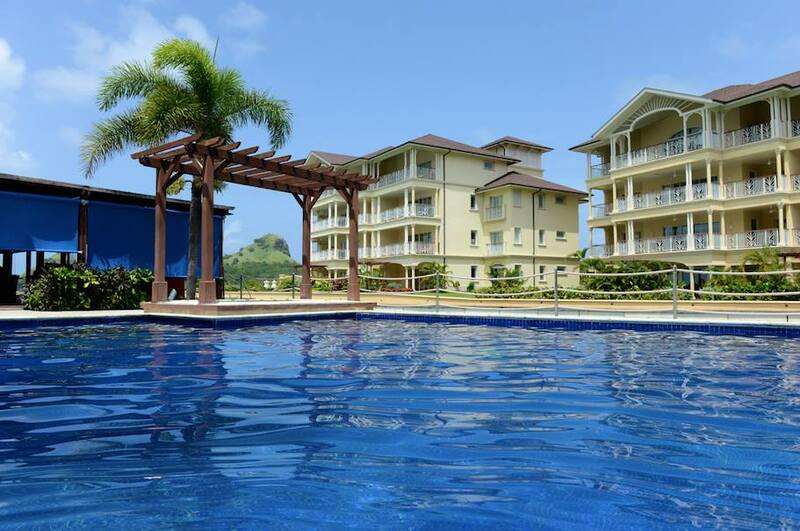 The Landings promises the ‘perfect packages for a picture-perfect St. Lucia wedding’. This hotel offers packages like the Renewal of Vows Package, the Simply St. Lucia Package, the So in Love Package and the Beautiful Bliss Package. Each package includes a wedding planner, flowers, a wedding venue, a licensed official and other important details. 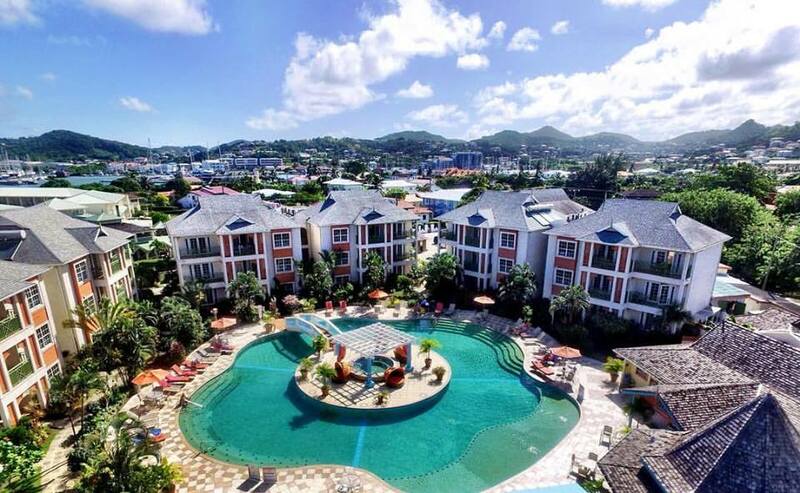 All packages include more features from The Landings, and prices vary based on added details. The Landings is an amazing wedding location, and indeed provide perfect photo opportunities to last a lifetime. 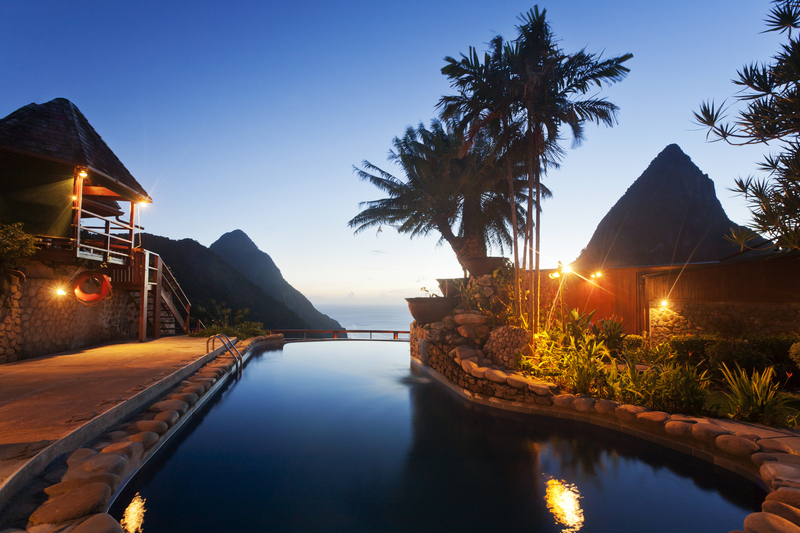 Jade Mountain prides itself as St Lucia’s ‘most romantic luxury resort’. The resort, which has won multiple awards over the years is a favorite getaway of popular celebrity couples as well as couples seeking the best in destination weddings. Jade Mountain is on the pricier end of St. Lucian wedding deals, with packages ranging from USD$1,095 to USD$4,750, but they are well worth the price. Jade Mountain’s packages include a Justice of the Peace, a choice of wedding location on the 600-acre property, champagne, decorations and much more varying with price. Their offered locations include the Anse Chastanet Beach, Anse Mamin Beach and offshore weddings on boats provided by the hotel. There are several other hotels which offer fantastic wedding packages like Coconut Bay, Calabash Cove, Hotel Chocolat and Anse Chastanet Resort, and Fond Doux Plantation and Resort. Although hotels offer outdoor options, you may want an outdoor location that provides a more authentic St. Lucian experience. There are some wedding destinations in St. Lucia that do just that. As a former sugar plantation, this old estate in Choiseul offers a quaint and private location surrounded by greenery. The 60-acre property offers numerous beautiful locations for both your wedding ceremony and as a background to your photos. The personnel at the Balenbouche Estate promise to cater to whatever your wedding needs may be, whether it be an intimate 2-person wedding or an elaborate ceremony with both of your families. The estate offers wedding planning services, a professional photographer, flowers, a marriage certificate and officer and catering. Balenbouche Estate is the perfect outdoor wedding location unlike any other. This prayer garden in Soufriere is also used as a wedding venue. It provides a lush, tropical location, full of foliage and flowers. It is the ultimate location for a small, tranquil wedding. Maranatha Gardens is located across from the popular Beacon restaurant, which caters to weddings held at the garden. At the very northern point of the island, Cap Estate Garden Weddings provides a fantastic wedding location. The spacious, bright and green venue is the perfect place to tie the knot. The gardens are expertly decorated based on your preferred color schemes and are also well catered to. A beach wedding is often the preferred location for couples who come to St. Lucia as their wedding and honeymoon destination. It is usually easier to arrange a beach ceremony with the hotel that you are vacationing at. Make sure the hotel is one that offers wedding packages, as most hotels do. However, some resorts like Ladera only offer honeymoon packages. For St. Lucia Destination Weddings or Local St. Lucian wedding assistance, you can visit websites such as Simply Beautiful Weddings or Thouzand Wordz for a list of locations, stylists, caterers, venues and event planners to help make your special day magical.